The stock synthesizers in Logic provide a unique suite of tools to create some high quality sounds. While often written off as inferior to third party plugins, let’s explore exactly why that simply isn’t true. 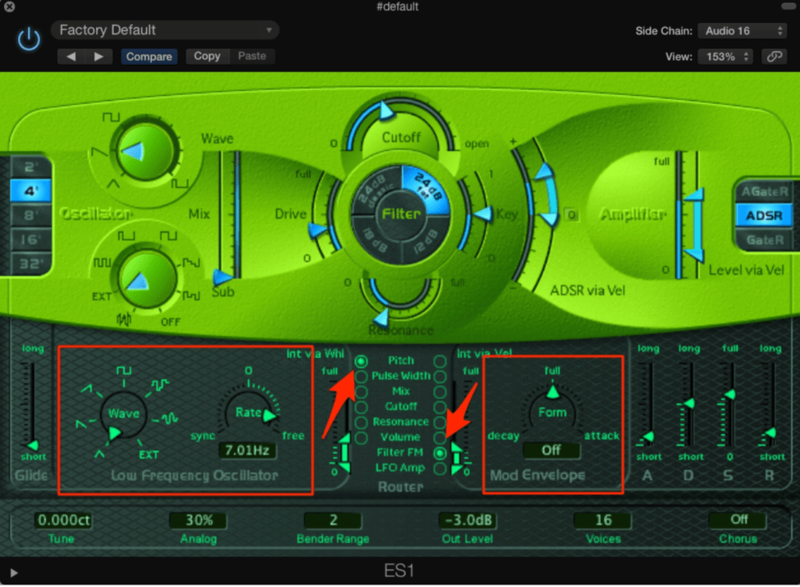 The ES1 consists of one main oscillator and one sub oscillator. 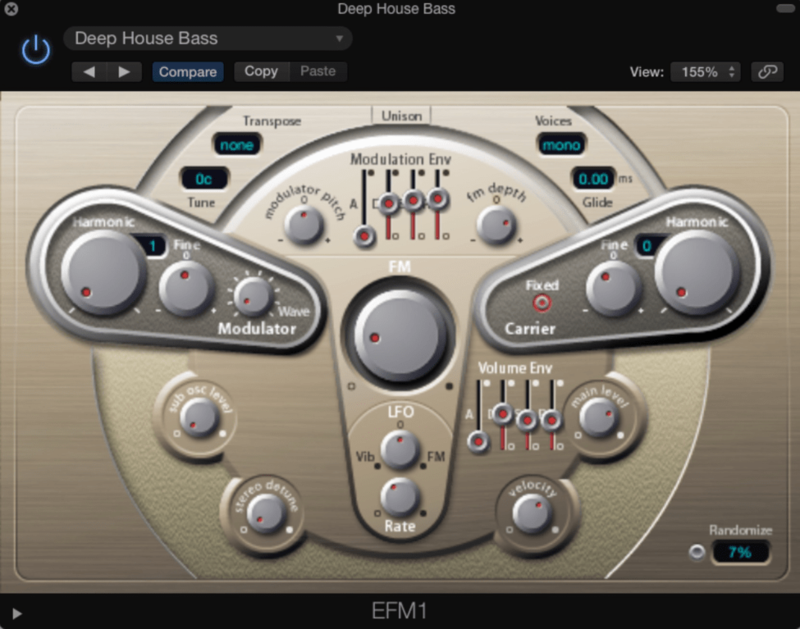 Some of its best sounds are its basses, and even a few of the presets being nearly ready to drop into your tracks. Mod Envelope The Mod Envelope is a lesser known component of the ES1, and it allows you to assign an envelope to a selection of parameters in your synth. Finally, be sure to have midi information in your ES1 track whenever you want the audio to play through – you still need a midi note for the ES1 to produce a sound! If desired, you can also design your midi to play a rhythm in the external audio signal. 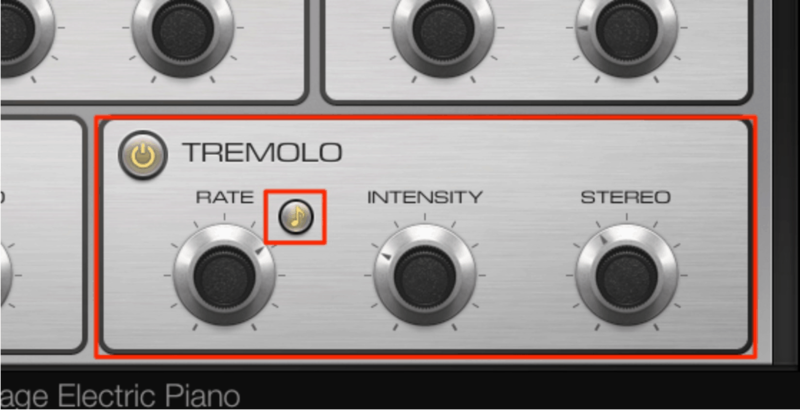 The LFO is automatically set to “restart”, so each note will start from the same LFO position. 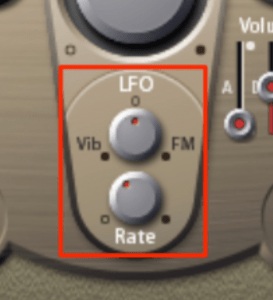 This means that if you use a slow rate, then you can get completely new timbres on your sound by moving the top Vib/FM knob. Test this out on the sounds you’re making! Many producers fondly recall the good ole days of Camel Audio, maybe best well known for the Camel Crusher and their Alchemy Synth. 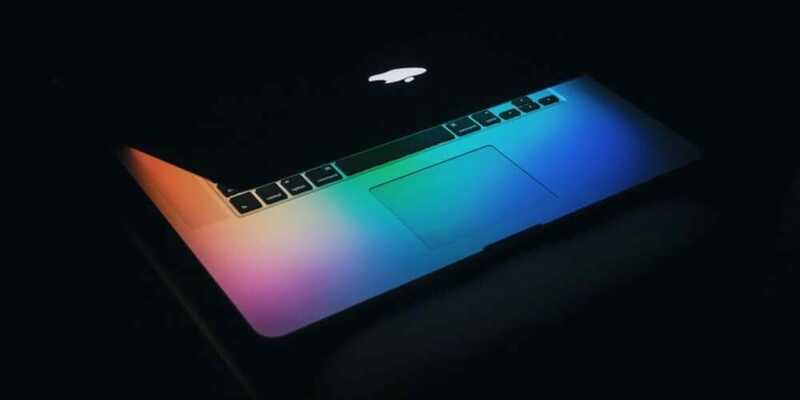 Apple actually acquired Camel Audio in early 2015, and while many of the plugins we loved have gone away, Apple has since incorporated Alchemy into Logic Pro X! Among many other of its sounds, Alchemy’s soundscapes and pads are fantastic. Moderate depth is key here, as in the image above – this will add a nice attack to the sound without the overpowering sharpness of a higher velocity note. This creates a nice pitch vibrato for more ambient, background elements. In summary, Logic synths are full of high quality sounds. I encourage you to explore them for yourself – I’m sure you’ll find some unique sounds to use across many of your tracks. The ES1 consists of one main oscillator and one sub oscillator. Some of its best sounds are its basses, and even a few of the presets being nearly ready to drop into your tracks. The Mod Envelope is a lesser known component of the ES1, and it allows you to assign an envelope to a selection of parameters in your synth. This function is often used in designing basses. 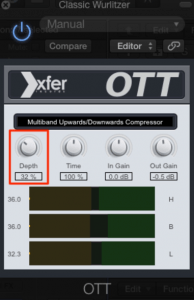 You can use the Mod Envelope to control the filter cutoff and give your basses an open, clean attack. 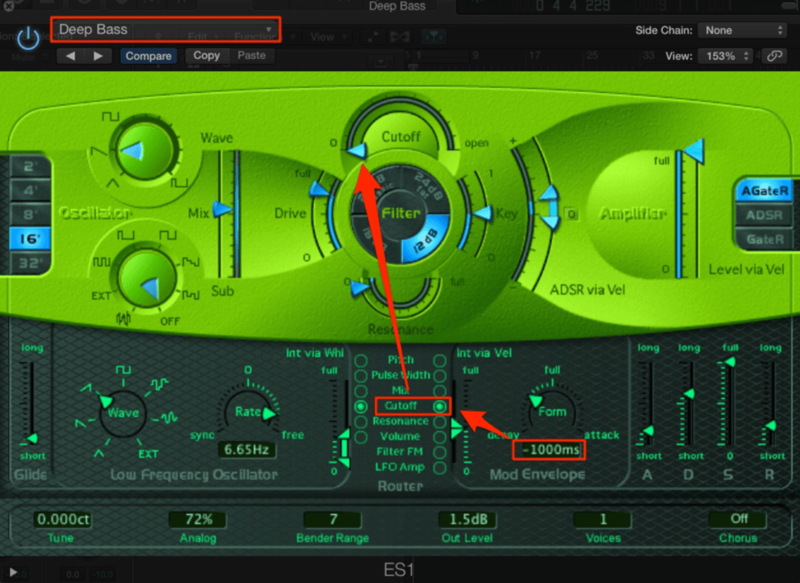 You can also use the ES1 to process an audio signal from another audio track or a bus in your project. 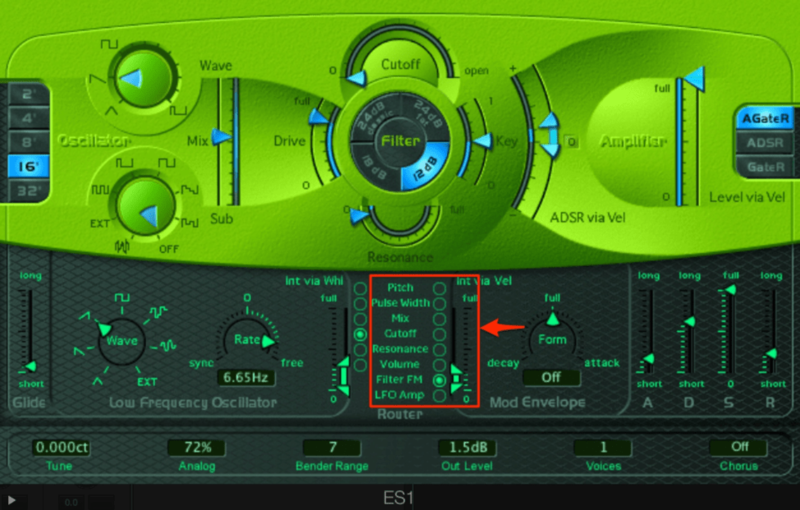 Now that the audio coming from the ES1 is the external audio, you can use the ES1 LFO, Mod Envelope, ADSR, etc. to process this audio. Finally, be sure to have midi information in your ES1 track whenever you want the audio to play through – you still need a midi note for the ES1 to produce a sound! If desired, you can also design your midi to play a rhythm in the external audio signal. The EFM1 is Logic’s FM synth – FM synthesis is usually quite complicated, but the EFM1 simplifies the process and reduces it down to just a few knobs. 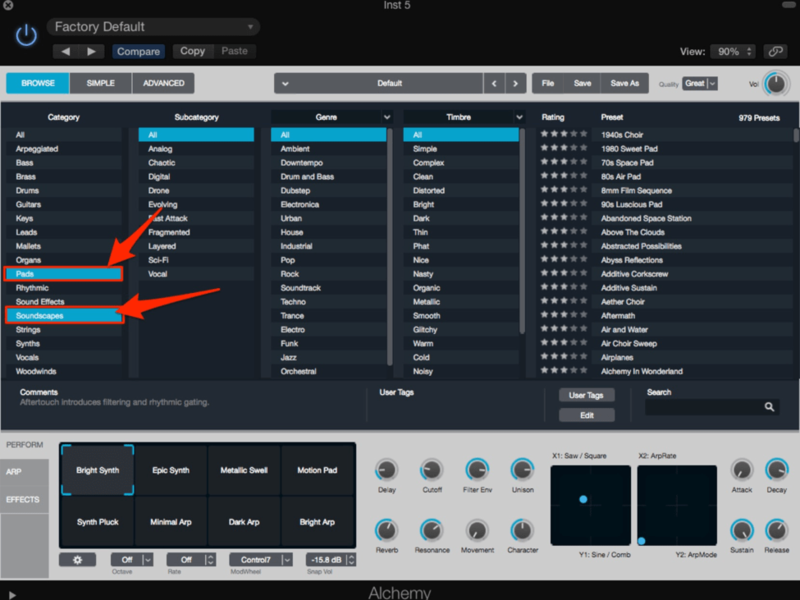 While you might not have as much flexibility as other FM synths, you can get some quality FM sounds without the synthesis process being overly complicated. The LFO is automatically set to “restart”, so each note will start from the same LFO position. This means that if you use a slow rate, then you can get completely new timbres on your sound by moving the top Vib/FM knob. Test this out on the sounds you’re making! Prefer video over blog posts? Discover some unique synth tricks from the ES1, EMF1, Alchemy & Vintage Electric Piano in this 25-min workshop. Many producers fondly recall the good ole days of Camel Audio, maybe best well known for the Camel Crusher and their Alchemy Synth. Apple actually acquired Camel Audio in early 2015, and while many of the plugins we loved have gone away, Apple has since incorporated Alchemy into Logic Pro X! Among many other of its sounds, Alchemy’s soundscapes and pads are fantastic. Alchemy uses a robust tagging system that allows you to narrow the sounds you are looking for by category, subcategory, genre, and timbre. One trick I like to use is flipping my Alchemy track to Write automation, playing my midi section, and manually dragging through the different macro categories. 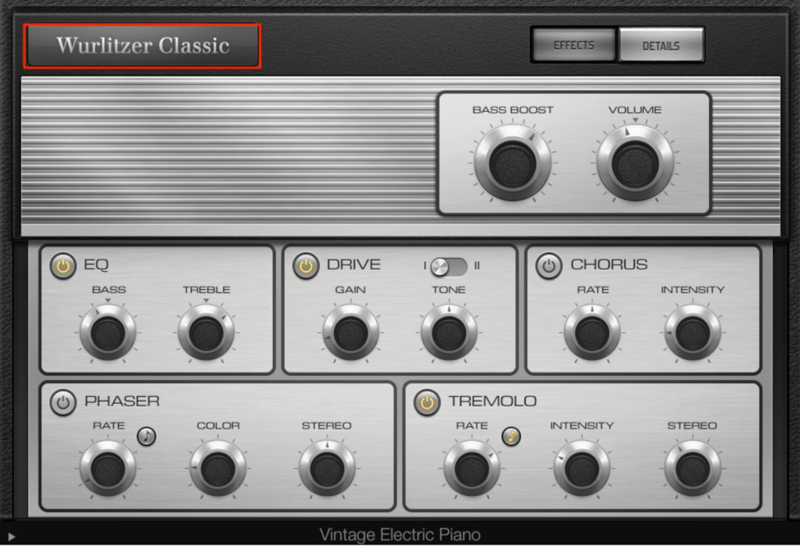 Logic’s electric piano is packed with high quality sounds that are on par with some of the best sample libraries. Velocities below 75 for the midi notes have very warm, smooth timbres. Once you start to get above this range, the piano has a substantially sharper attack sound. While this is certainly usable if this is your desired sound, the smoother tones of the lower-velocity notes can be quite useful. 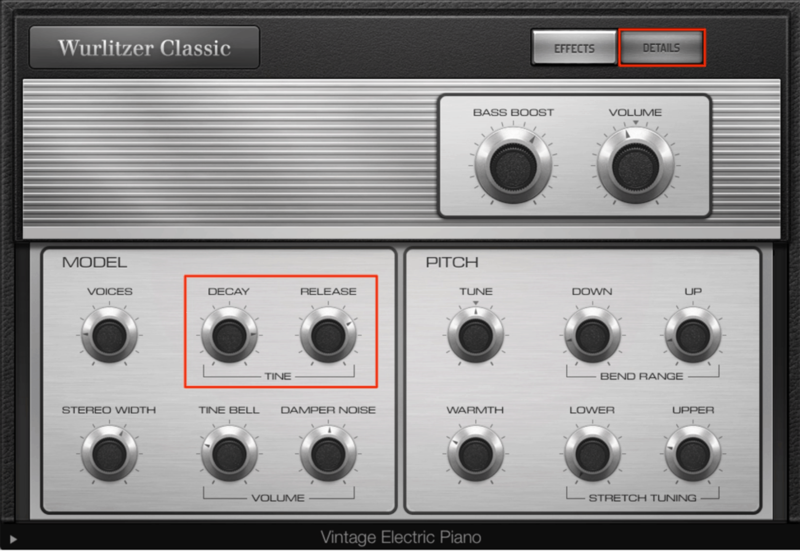 However, without the sharper attack, your piano can sometimes get lost in your mix. The instrument has a built in tremolo function which will flutter the gain of the piano. 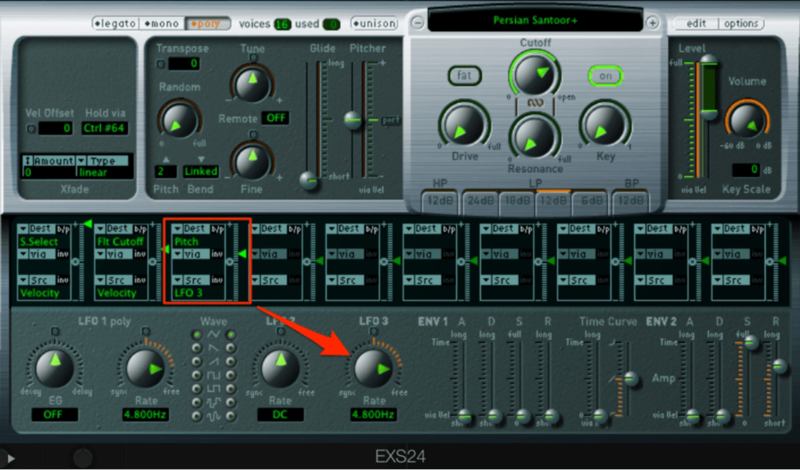 While technically not a synth, the EXS24 sampler is packed with a variety of great sounds and some easy-to-use processing. This creates a nice pitch vibrato for more ambient, background elements. 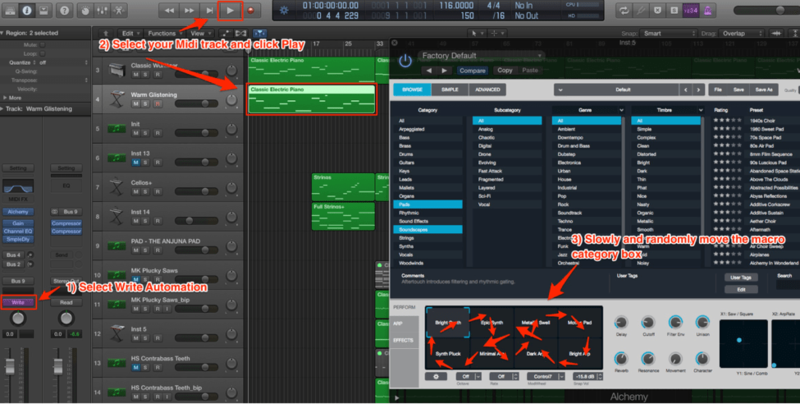 In summary, Logic synths are full of high quality sounds. I encourage you to explore them for yourself – I’m sure you’ll find some unique sounds to use across many of your tracks!  QUICK NOTE: this is a collaborative post between Hyperbits & Masterclass co-instructor Pete from the super-talented production duo, Anden.